Have you heard of beautyADDICTS? I am a huge fan of their makeup! 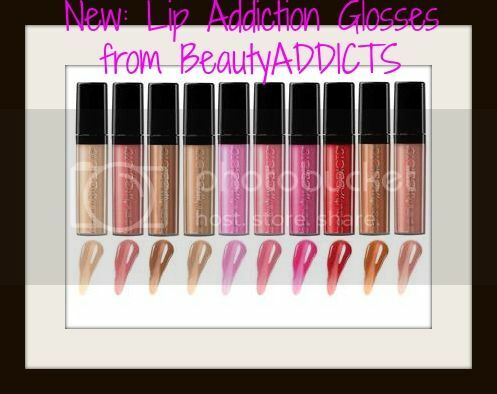 BeautyADDICTS has recently launched a fabulous new lip gloss collection! This creamy, high-shine lip gloss provides intense, opulent color while nourishing lips with vitamins and plumping lips with peptides. 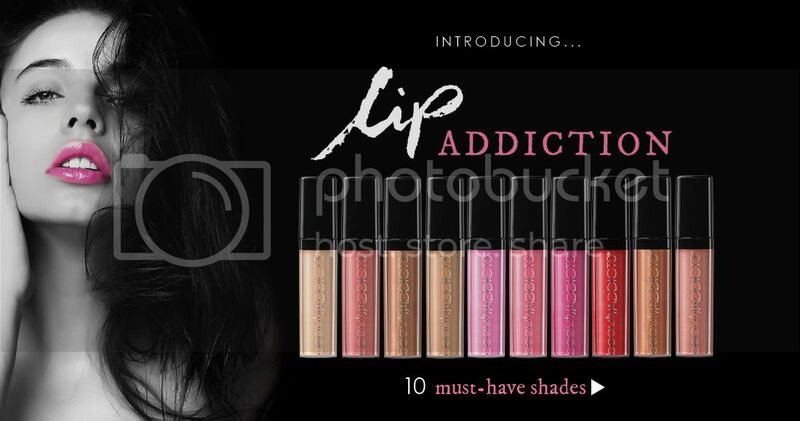 Lip Addiction lets you choose from 10 must-have shades to feed your addiction for the perfect, painted pout. I love the feel of these glosses! They provide beautiful color while hydrating your lips. These glosses are incredibly comfortable to wear. The formula is about a medium consistancy. It is creamy without being to thick nor sticky. These Lip Addiction glosses provide full coverage and fabulous shine! Plus, they have a really pleasant vanilla-like scent. In addition, the packaging is cute and sleek. I just love wearing these vivid lip glosses! What a lovely assortment of shades in the Lip Addiction collection!!! What shades do you have your eye on?